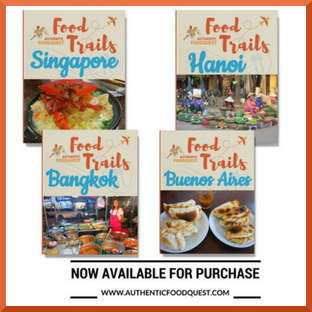 On your travels do you seek to experience authentic local food? Do you like to taste and savor new flavors? Do you want to have meaningful connections with locals? It is not always simple and it is often easier said than done. Lisa Gross, CEO and Founder of The League of Kitchens, is working to change that through immersive cooking classes. You may be wondering why we are introducing The League of Kitchens to you. Before we answer that question, let us share how we found out about them. We learned about The League of Kitchens while attending The Women In Travel Summit in Irvine, California in March 2016. 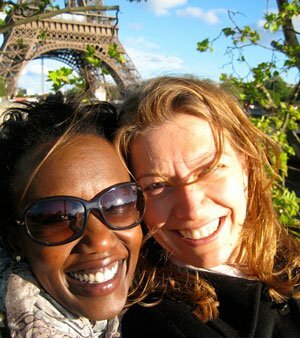 At this conference, we met two exceptional and talented ladies; author, Gabi Logan of Dream of Travel Writing and Kelley Louise, Executive Director of Travel+SocialGood. 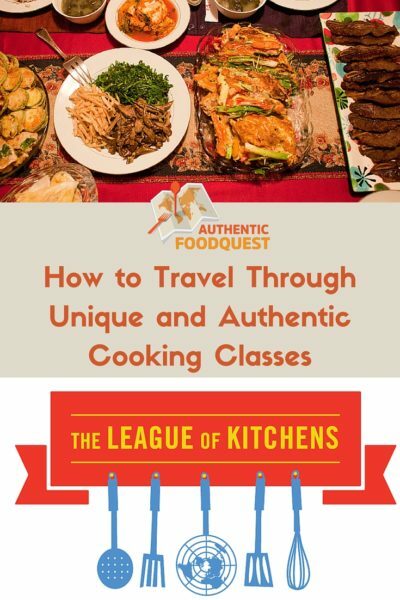 When we shared our story with Authentic Food Quest, they immediately suggested that we connect with The League of Kitchens. 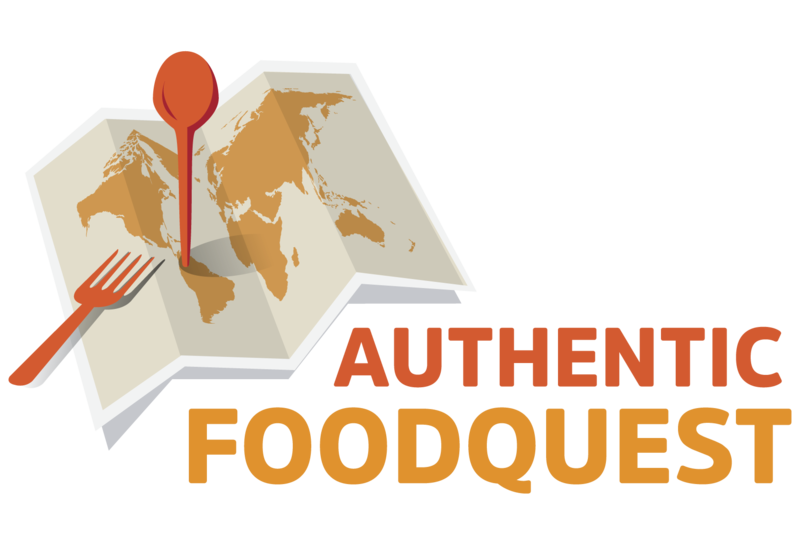 Our mission at Authentic Food Quest is to inspire people to travel through food. We believe that through food, travelers can have more meaningful connections with the local people, food and culture. What intrigued us the most about the League of Kitchens is their focus on cultural immersions through food. Immigrants teach intimate cooking workshops in their homes. 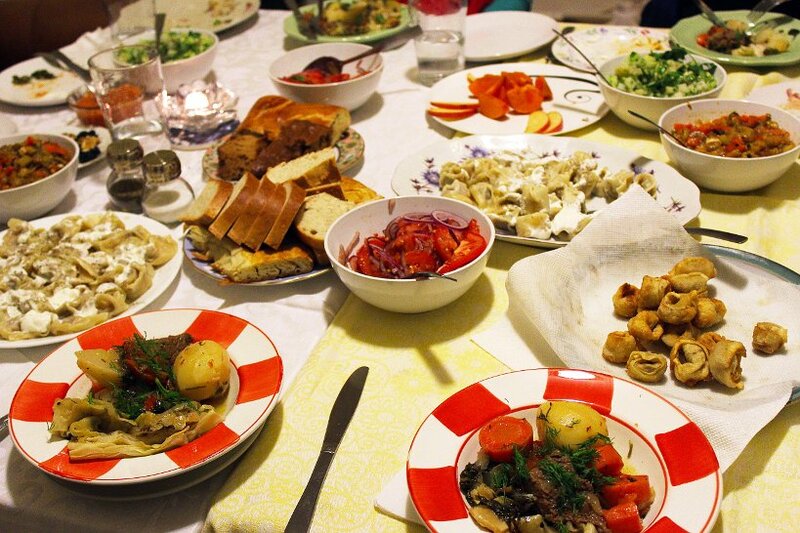 You get to eat local food in a local’s home, prepared by a local while learning about the culture. Imagine walking down the streets of New York City and into the home of an immigrant. As soon as you walk in you are immediately transported into a different culture. You will find yourself working with new and foreign ingredients, while learning about the country and the local foods. With The League of Kitchens, you can have authentic and immersive culinary experiences without traveling to far-flung destinations. We had the opportunity to get to know The League of Kitchens. We interviewed Founder and CEO, Lisa Gross and Mirta Rinaldi, the Argentinian cooking instructor. In today’s article, we share our conversation with Lisa Gross and The League of Kitchens. 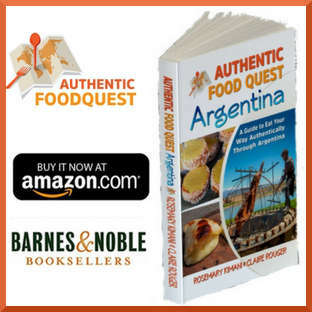 In a subsequent post, we will put a spotlight on the Argentinian immersive cooking classes. The idea for The League of Kitchens came from Lisa’s personal experience. She told us that her Korean immigrant grandmother never taught her how to cook. “She would shoo me out of the kitchen and would say that studying was more important.” According to Lisa, her grandmother wanted her to have opportunities that she didn’t have. Lisa never learned to cook from her and neither did her mother. After college, Lisa mentioned that she fell in love with cooking and wanted to cook dishes from her childhood. Many of those dishes were Korean dishes. By that time, her grandmother had passed away. Even though she tried learning some of those dishes from recipes, nothing ever tasted as good as her grandmother’s cooking. That was when she realized that small details, techniques, and tips distinguish really amazing food from merely good food. According to Lisa, ”these are the little things you need to learn from someone. You often have to learn these details in-person as they are based on a certain style and taste”. So,that became the seed of the idea “oh, I wish there was another Korean grandmother that I could cook with”. 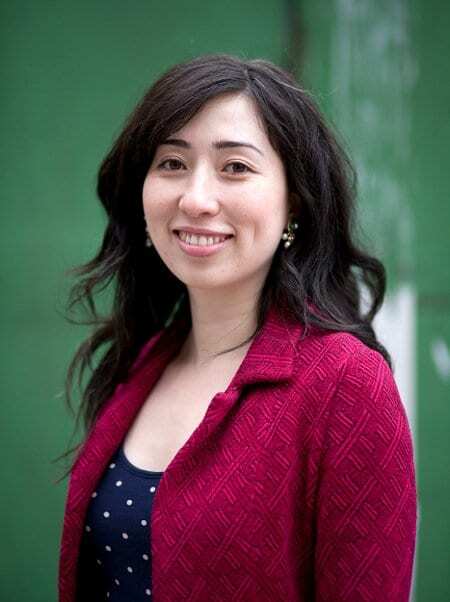 After studying in Boston, Lisa moved back to New York City. It was during this time when she started seriously considering her idea. While she was inspired by her Korean grandmother, her Jewish grandparents also had a huge influence on her. Lisa told us her Jewish grandparents loved to travel, they loved food and were also adventurous eaters. With New York being one of the most diverse cities on the planet, Lisa recognized that despite the diversity, there was little meaningful exchange. People would go to the Korean dry cleaner or pick up Chinese food, but the cultural exchange rarely went beyond that. That is when Lisa decided to combine her interest in Korean cooking and the food experiences with her Jewish grandparents. She thought about the idea of using food as a way to create opportunities for meaningful cross-cultural learning and exchange. This gave birth to The League of Kitchens, which officially opened in February 2014. Instructors at The League of Kitchens are carefully selected. Lisa told us that the cuisines offered are based on the people that she finds. Finding instructors is difficult and she looks for very specific characteristics. The immigrant instructors need to have deep culinary knowledge. Beyond just being good cooks, it is important that the instructors do everything from scratch in their traditional ways. Secondly, the instructors need to be warm and outgoing. They must be comfortable sharing their story, their culture, and experience. They also must enjoy hosting groups of strangers in their home. Finally, the instructors must be willing to teach. To show people how to recreate those dishes in their own homes. The two main offerings at the League of Kitchens are a flagship ‘immersion workshop’ and a ‘taste of workshop’ that is shorter in length. Both vegetarian and non-vegetarian menus are offered. All workshops have only 6 students. In this intimate environment, everyone gets to know their instructors and the other students. At the end, everyone goes home with written recipes and shopping guides. The instructors at The League of Kitchens are exceptional home cooks who have been cooking for their families for years. 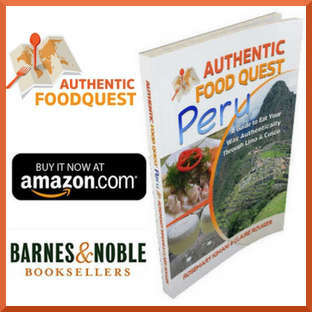 Ideally, they have learned to cook from their mothers and grandmothers and have a deep knowledge of traditional cooking techniques that are culturally grounded in their experience. Cooking in someone’s home is different than cooking in fancy kitchens with fancy equipment. According to Lisa, it is very inspiring to cook an exceptional meal in a very ordinary New York kitchen. With only 6 students, The League of Kitchens creates intimate culinary experiences. With The League of Kitchens, beyond learning to cook, you get a cultural immersion. You get to be a guest in the instructor’s home. Often times the instructors family members are there. You get to see the home, the personal cooking tools and how spices and ingredients are really stored. The League of Kitchens instructors live all over New York City, and part of the culinary adventure is going into new neighborhoods. This experience is adventurous and exciting even though it can be nerve-racking at the beginning. The most popular feedback that Lisa and the team hear from participants is: “this part of the world that felt abstract, now it feels very personal”. The League of Kitchens is currently based in New York City. While they plan to expand into other cities in the future, they are focused at the moment on building more immersive cooking classes locally. If your travels take you to New York, branch out and take a cooking workshop with The League of Kitchens. Book a workshop directly on their website. 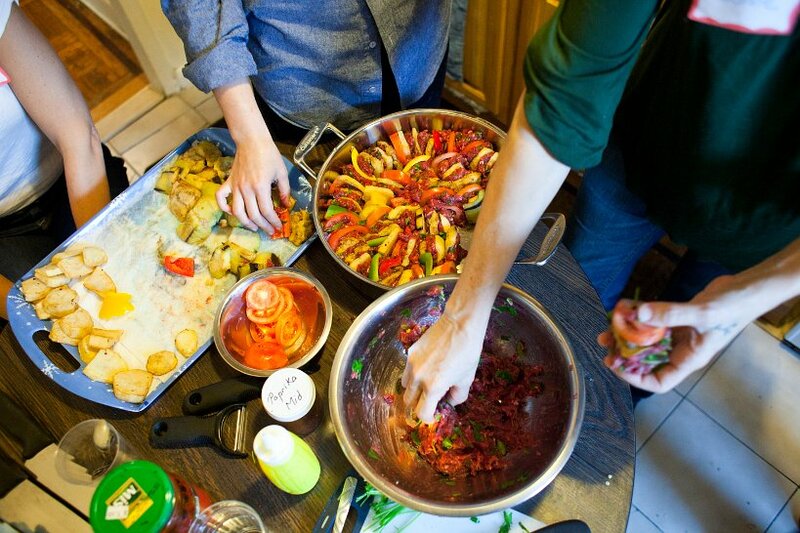 Join other New Yorkers and foreigners on a culinary adventure. Choose from several cuisine types: Lebanese, Uzbek, Indian, Argentinian, Trinidadian, Japanese, Bengali or Greek. Depending on your dietary preference, keep in mind that you can tailor your experience for vegetarian or non-vegetarian. In the comments below, tell us which cuisine or workshop interests you the most. Cooking and authentic food is a big pleasure while traveling! Thanks Beatriz, so glad you like the unique concept from The League of Kitchens. 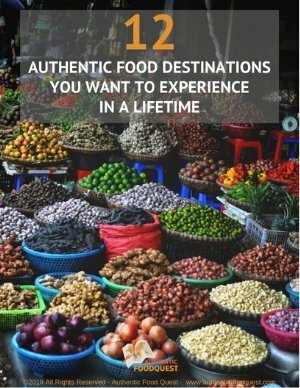 Totally agree, cooking and learning about the authentic local specialties is a wonderful way to connect with the locals. Thanks for your comments. YUMMY. I love traveling through food, but I usually have to go out to restaurants to get it. I’d love to learn how to cook some of these dishes! Thanks so much Amanda. So glad you also love traveling through food. This is indeed a unique concept where you can experience the food and local culture without going to a restaurant. What dishes would you like to learn to make? Please share your comments with us. Super informative post; really enjoyed hearing about the cooking and cultural experience of the League of Kitchens. Thanks Christine for your comments. So glad you enjoyed reading about The League of Kitchens. Hopefully, your travels will take you to New York City soon and you can try out a class. Appreciate your feedback. This is an amazing concept and I love the idea of learning to cook this way. Pity New York is so far away. This looks amazing! I love taking cooking classes. The presentation looks amazing also. So glad you like the concept Anna. Beyond the food, it is indeed a great way to connect with the local culture. Thanks for your comments. So glad you love the concept of The Leagues of Kitchens. It truly is a unique way to travel and experience a new culture. Hopefully your travels will bring you to New York City soon. Appreciate your comments. So glad you liked this post and the unique concept from The League of Kitchens. Not sure when they will be expanding to your area. Do you get to New York often? If you do visit New York soon, what cooking class would you start with? Thanks for your comments. Cheers! What an outstanding idea and it would be fantastic to be part of it. Really enjoyed reading about this. Thanks Kerri for your comments. If you make it to New York City, please do check out The League of Kitchens. Glad you enjoyed reading the article. Cheers! We did a cooking class when we were in Vietnam and it was so cool getting to make the dishes we had been eating the whole time we were there! That’s awesome Amanda. What dishes did you learn how to make? What did you like about the cooking classes experience. Looking forward to your response. What an awesome concept! It’s so true that the most authentic and personal of experiences are found right in the home kitchen. Food memories are powerful, and working together in a home kitchen pulls these memories to the surface for so many. Nest time we’re on that side of the pond, we’ll make sure to look up the league, and book an experience. We’d love to learn more about Lebanese cooking. You nailed it Eulanda, food memories are powerful and very personal. Yes, do check out The League of Kitchens and do let us know your experience with Lebanese cooking. We appreciate your comments. Thank you. So glad you enjoyed reading the article and learning about The League of Kitchens. You are right, through food we can learn so much about a local culture. 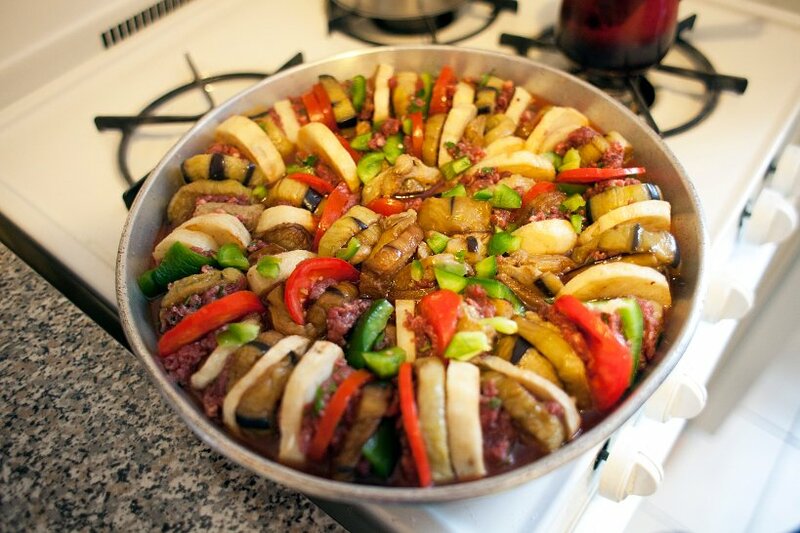 Cooking classes is a great way to go, both abroad and at home. Appreciate your comments Lauren. I love that nowadays there are services like this one. I took a cooking class in Japan and it was so great to learn how to cook Japanese food, but also to learn about the culture and eating traditions of the country. It’s amazing that there is an opportunity to learn about food and traditions from oversees! Thanks so much for your comments. What makes The League of Kitchens concept so interesting is the ability to learn from immigrants who are already living in the U.S. No need to only take cooking classes when traveling abroad, it is also possible to recreate those experiences at home. How wonderful to have taken a cooking class in Japan. We are fascinated by Japanese cuisine, we would love to know more about your experience and what you learned. Cheers! This is a great idea! I took some cooking classes in Bologna and I had such an amazing time. I wish we had something like this in my City! Nice that there is such a variety of cuisines too. So glad to hear you had a great cooking class experience in Bologna. Indeed The League of Kitchens is very unique and it is too bad that it is only in New York (for the moment). Appreciate your comments. The idea is super! 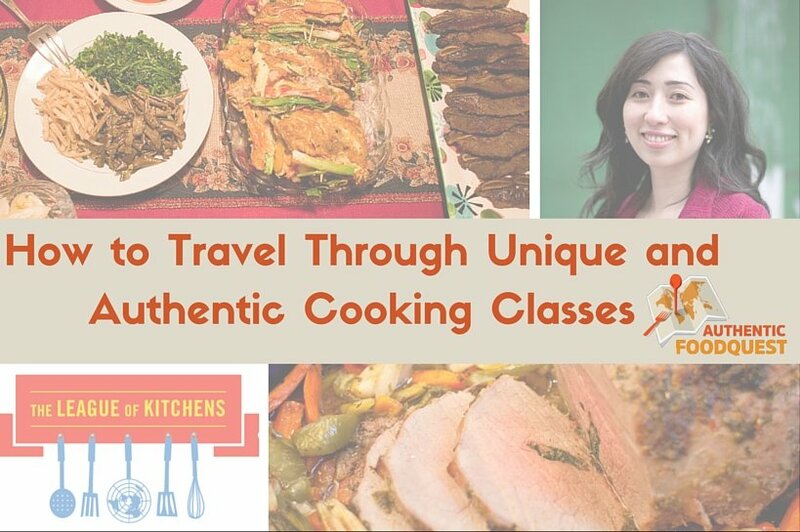 I love to explore food of different cultures and the idea of these classes sounds like a heaven on earth to me! So happy to hear you love the idea Lusine. Exploring cultures through food is indeed the way to go. Which class from The League of Kitchens interests you the most? Cheers. One of my travel goals is to eat my way around the world, so the League of Kitchens is very interesting. The photographs and experience look absolutely fantastic. This is especially resonant: “The instructors need to be warm and outgoing. They must be comfortable sharing their story, their culture, and experience.” It’s so important for the teacher to be personable with the learner, especially for it to become a more meaningful exchange. Food is such a huge part of culture! I took a cooking class in Vietnam and they were the loveliest. You are absolutely correct Mel, The League of Kitchens goes above and beyond to ensure that the instructors share their knowledge beyond the cooking techniques. That’s wonderful to hear that you had great classes in Vietnam, there is truly no better way to connect than through food. Thanks for your comments. This is such a fantastic and innovative approach to cooking classes. I’ve never heard of League of Kitchens before, but I’m definitely intrigued. 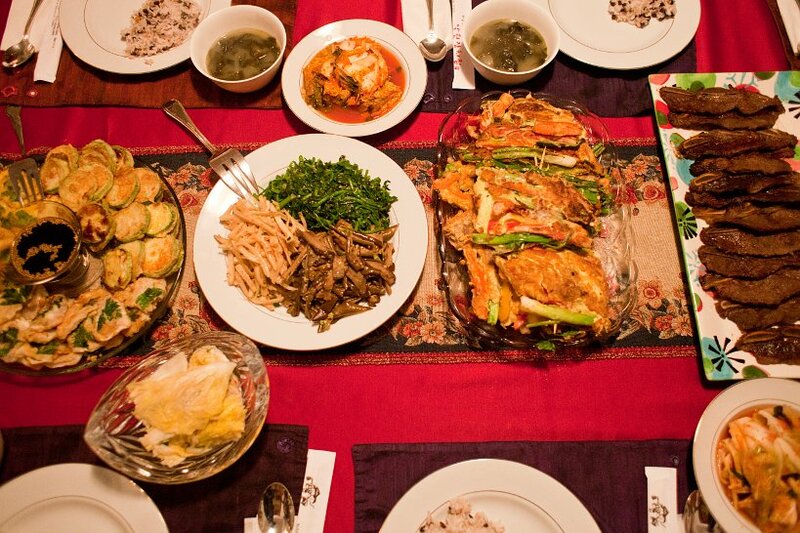 We can learn a lot about other cultures through food and an intimate home-cooking experience is a great way to increase cultural awareness and promote cross-cultural communication as well. I definitely need to do a cooking class on my next trip! This sounds awesome! If I get time I’d love to try a workshop when I’m in NYC in September – would be epic! Thanks for the idea, I’d never heard of this before.